We explain Stålmarck’s proof procedure for classical propositional logic. The method is implemented in a commercial tool that has been used successfully in real industrial verification projects. Here, we present the proof system underlying the method, and motivate the various design decisions that have resulted in a system that copes well with the large formulas encountered in industrial-scale verification. 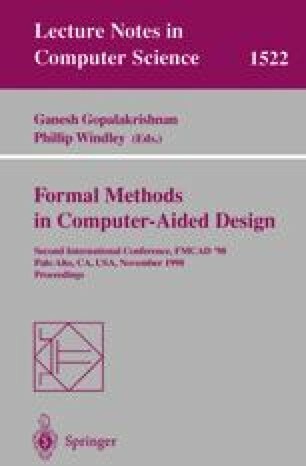 We also discuss possible applications in Computer Aided Design of electronic circuits.